Okay, this is a sweet Thanksgiving card. 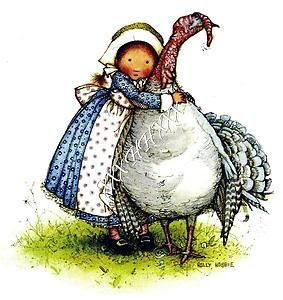 I love Holly Hobbie hugging her turkey. Oh, I Love Holly Hobbie! Never had her as a child..but I do have a collection of Holly Hobby fabrics! Haha..waiting for the perfect pattern.